While reports of bigotry, harassment and intimidation are increasing throughout the nation, the World Awareness Children’s Museum in upstate New York is helping to ensure that children hear positive messages of inclusion, understanding and diversity. 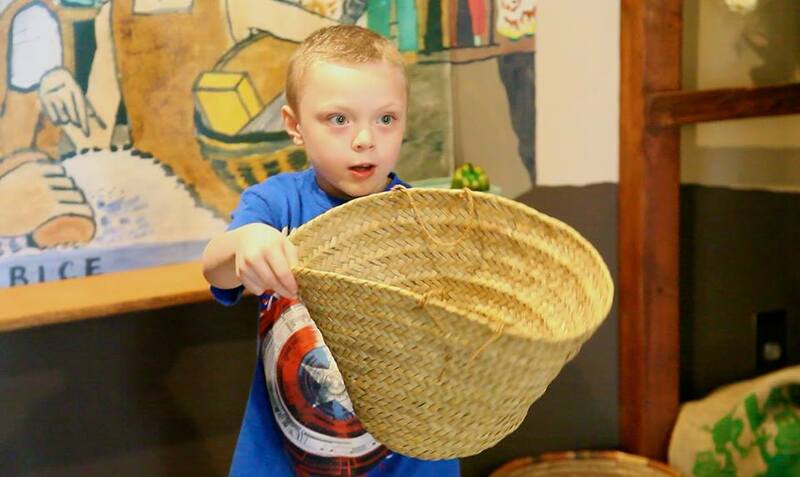 Upon entering the World Awareness Children’s Museum in Glens Falls, children create culturally-inspired experiences to help them form positive ideas about people with whom they share the world. Siblings shop in the Nigerian Marketplace, placing plastic food in baskets which they balance on their heads. A family takes off their shoes to enter a Japanese washitsu to practice using chop sticks. A toddler sniffs the offerings featured in a Turkish spice bazaar. A grandmother gazes at the many pieces of international youth art depicting life in other countries. These peaceful connections promote positive images of diverse cultures by planting seeds of understanding that will prepare children to be better citizens of our multicultural world. Museum educational programs, taking place in area schools, libraries, community centers, and in the Museum itself, introduce children to topics related to geography, foods, daily activities and traditions in other countries. These educational modules provide an opportunity to bring our diverse world to children, the mission of the World Awareness Children’s Museum. Museum interim Administrator Sheileen Landrey recalls presenting a program on cultural aspects of clothing to a classroom. The Museum’s next exhibition, opening in 2017, will focus on family life in Mexico. The World Awareness Children’s Museum has been a New York State Designated Charter Museum since 1995. Its permanent collection includes over 6000 cultural objects and 8000 pieces of international youth art from 140 countries.